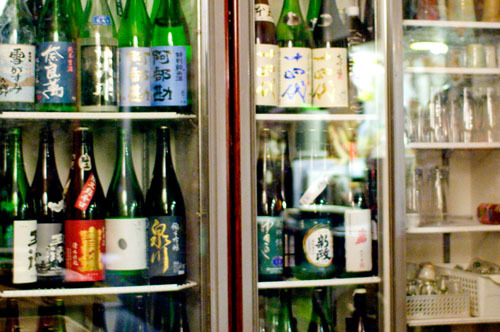 The specialized sake selection at this small neighborhood izakaya is beyond reproach, with many seasonal bottles and a number of hard-to-find labels from the elusive Juyondai brewery. 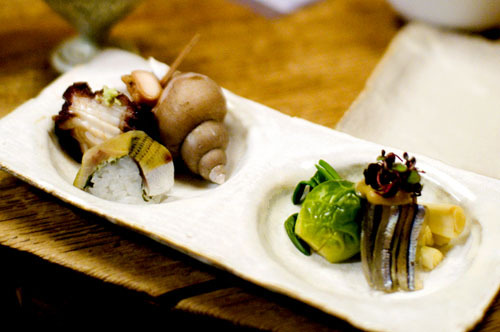 The food menu focuses on creative versions of kushiage and other deep-fried dishes, and these are very well prepared. 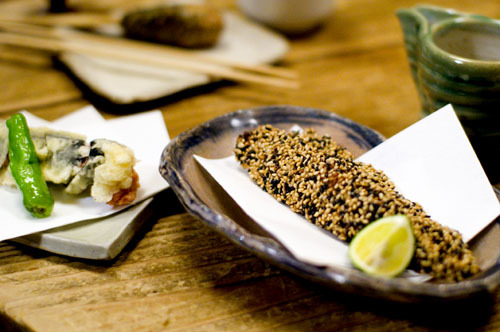 Our shrimp and lotus root hasamiage was fluffy in texture and not the least bit oily, while shishamo, a small fish which is usually served grilled, here was prepared with a crunchy coating of sesame seeds in batter, the sesame providing a nice balance for the fishy flavor. Akita-style kiritanpo, roasted pounded-rice cylinders, were cooked over an open hearth in front of us, and they were some of the best we've ever had of this hearty country-style winter delicacy. 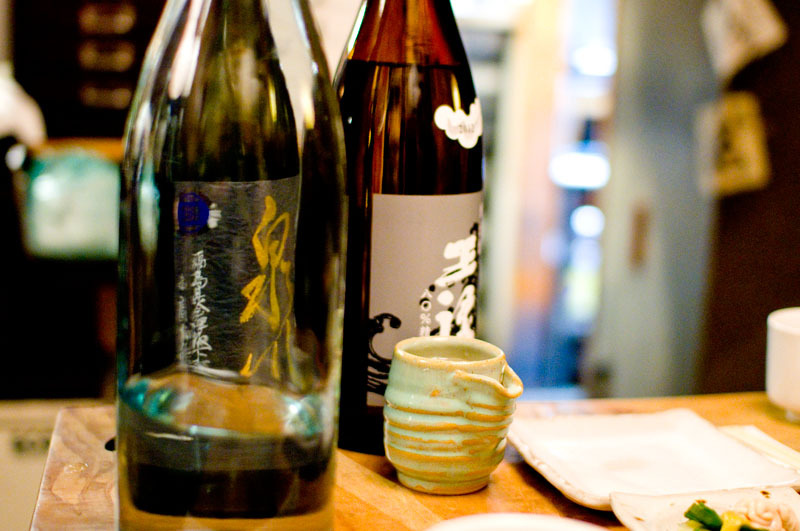 There are also several sake-infused dishes such as ginjo-steamed chicken with apricots and wasabi. Seating is on cushions on a tatami-mat floor, with shared tables. There's no English menu or English-speaking staff. Budget around Y2500-4000 for food and drink.